The mother of Laing Avenue resident Nykoseye Gritten, who has been missing since last week Tuesday, is fearful that his life may be in danger and is seeking the public’s assistance in locating him. Gritten, 22, a resident of Lot 29 Laing Avenue, Georgetown, was last seen on September 12, when he left home after receiving a phone call. Several calls to his cell phone have proven futile as it is turned off. A missing person report has since been made to the police. 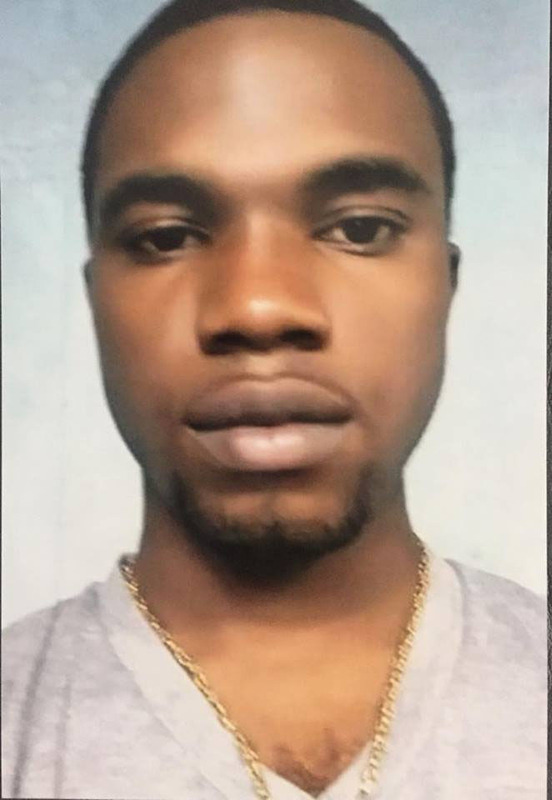 His mother, Tessa Gritten, told Stabroek News that she learnt of his disappearance last week Wednesday after receiving a call from his brother. 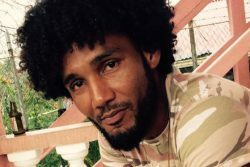 As a result, Tessa, who resides in Suriname, has returned home in search of her son, who she said is not known for staying away from home without informing anyone. Nykoseye is currently before the court on an armed robbery charge. The worried mother said that shortly after he returned from court last week Tuesday, he received a call and left the house, which he shares with his brother. “Just after he come off the call, he left and went into a car that was waiting outside,” Tessa said. She said that she learnt that a woman was in the car at the time. “I don’t know the girl personally, but I try to find out about she, and when I reach she and ask she about he [Nykoseye], she keep saying she don’t know anything and that they didn’t talking.” Tessa related. Tessa is of the opinion that the female in whose company her son was reportedly last seen has some knowledge of his disappearance and is therefore wondering why the police hasn’t yet questioned her. “I give them [the police] all this information and they ain’t doing nothing,” she said. According to Tessa, she last checked with the police yesterday morning and they related to her that there has not been any progress to date. “He does get in he lil trouble and so nah, but he don’t stay away from home for so long,” she lamented. The woman is fearful that her son’s life maybe in danger and is pleading with anyone with any information which may lead to his whereabouts, to contact her on telephone number 227-0008. Gritten was previously charged with the 2014 murder of Albouystown moneychanger Wendell Liverpool. He was freed last year after a no-case submission on his behalf was upheld in the High Court. In April this year, he was charged with the armed robbery of a vendor. During this incident, he was allegedly shot during a gunfight with cops. He was subsequently charged with robbing Ganpat Seepersaud of $400,000 in cash along with other items, including a bag containing items belonging to Pertab Kumar, while being armed with a gun and in the company of others on April 21 at Pike Street, Kitty.